This entry was posted in Blog, Production Updates on June 20, 2014 by '63 Boycott. 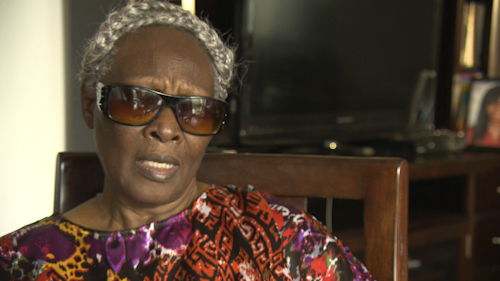 Last week, we interviewed Rosie Simpson, a union organizer and CPS parent who was a key player in the 1963 Boycott. In August 1963, Ms. Simpson led a protest in Englewood at a construction site where CPS was attempting to build a school entirely out of trailer classrooms. Yes, you read that right. A school made of trailers in a vacant lot by train tracks. Ms. Simpson’s will help us tell this interesting facet of the boycott story. In April, we discovered footage of the Englewood protest among our original 16 mm film of the 1963 Boycott. You can read more about that protest at this link, and see the footage below. Ms. Simpson’s August 1963 protest eventually stopped construction of the trailer-school and laid the groundwork for the mass community action that came with the October boycott. As you can see in the footage, the Englewood protest, which took place by train tracks at 73rd and Lowe, was a stark contrast to the peaceful Freedom Day boycott. Ms. Simpson told us stories of police beating and bloodying nonviolent demonstrators, throwing them in paddy wagons and then sitting those crowded, cramped wagons in the hot sun for hours. 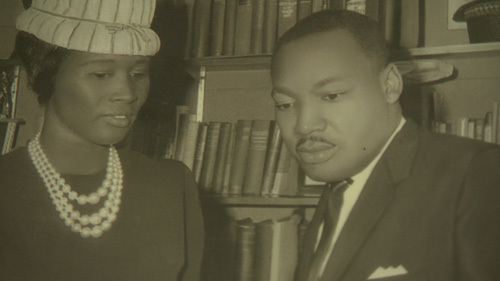 Ms. Simpson’s interview will be included in our half-hour documentary about the 1963 boycott. You can also see her speaking as part of our panel from the 50th anniversary celebration of the boycott at the DuSable Museum on October 22, 2013.